Discussion in 'Guitars in General' started by Gumley, Apr 16, 2016. Anyone here got one? I'm thinking of getting one. Did you get light, medium or dark? And what finish did you choose? 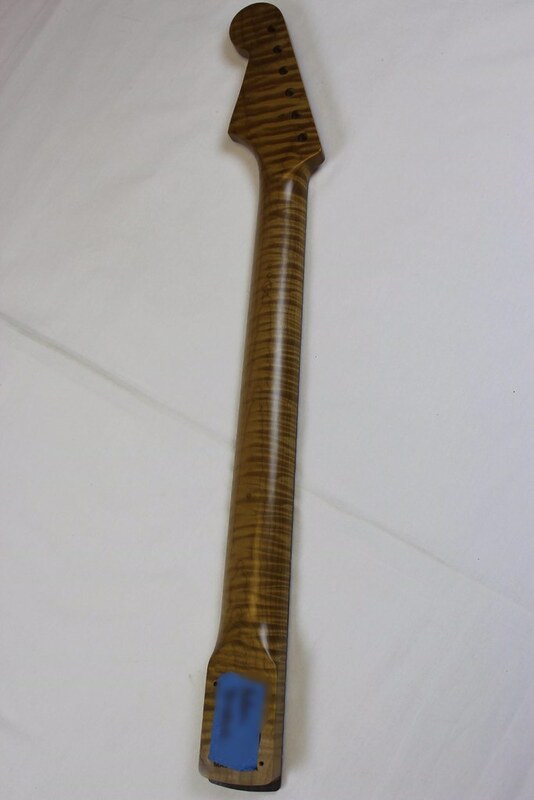 I've got a light roasted maple neck from Musikraft. It's a medium c and it's one of my favorite necks that I've played. I'll put up a pic later of it. 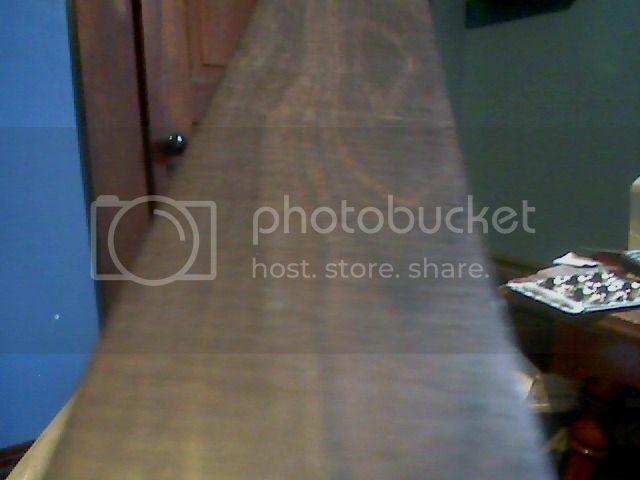 Yeah, I have this on a mahogany tele style guitar. Medium roast from what I remember. There isn't actually a finish, but just that sealer that musikraft puts on (supposedly this is enough to honor their warranty.) I haven't had any issues with it either way, and it seems pretty high quality. Dave Orban, transmission, hudpucker and 2 others like this. That's a beautiful neck Ultra. Mine just has a few thin layers of Tru Oil on it. It feels great. ^ That looks great! I'm considering just doing the $20 sealer on mine when I order. To be honest, I would have gone with a proper satin finish if they were offering it at the time. It doesn't seem quite as stable as some of the other roasted maple necks I have, but at the same time, it really doesn't need adjustments any more often than most of my guitars. Hard to say whether or not this is due to only having a sealer coat though. How does the sealer feel, I love the feel of bare wood, so wondering if this retains the natural feel or gives something different? I'd say it's slightly different. It doesn't feel like bare wood in my opinion - it's a bit smoother (especially now, since it's been played a good amount) and you can definitely tell it's there, even though it's not as noticeable as a satin finish. I sent USA Custom Guitars a Roasted Flame Maple blank, and an African Blackwood boardblank. 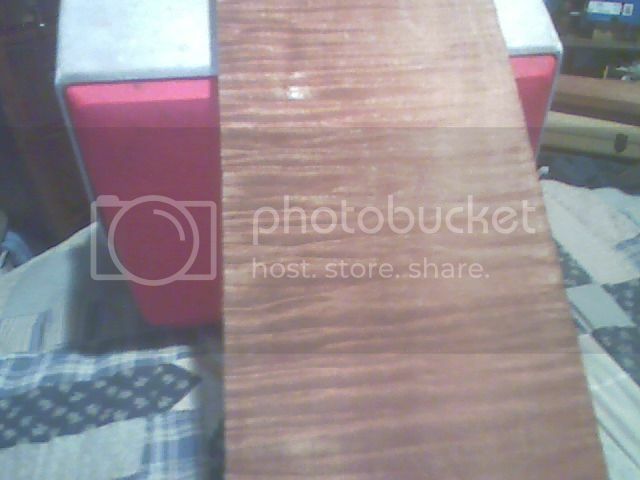 www.sharpslumber.com has beautiful Torrified Maple. I believe they have a $100 Minimum. They used to. I bought 1 long board, and they cut it into 3 blanks for free. $112 included shipping. Only thing is, USACG headstock isn't 100% correct. But for me no biggie. 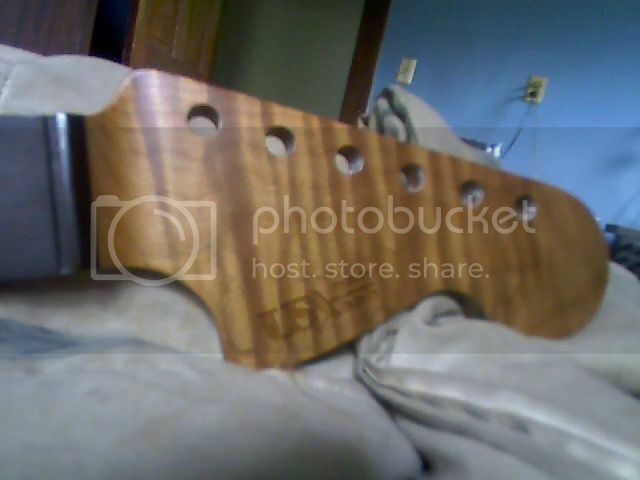 USACG makes killer necks, and I also had them put their LOGO on it. Bill Crook, Crook Guitars, and Ron Kirn, both endorse USACG. Crook makes many guitars for Brad Paisley. USACG necks also have a feature others don't have. Fall Away past the 12th fret to make for better bending. Also their Truss Rod Ends and almost indestructible. 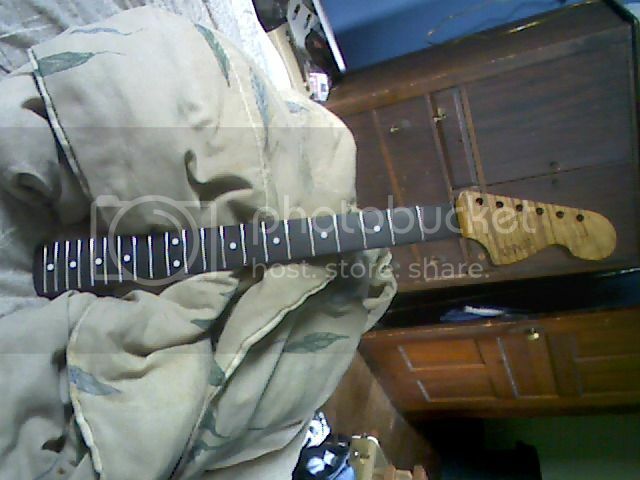 I also sent them my 71 x 4 bolt Strat neck, rosewood board. I had them copy it to maple cap. But that blank isn't Torrified. Mine is slightly roasted, and has a Clear Satin Nitro finish. I don't want over the top roast, and wanted just enough to make it look a bit aged, and not have to use any tint. I don't notice it being any more stable than my 71 Strat, 82 x 62 Fulleeton Reissue Strat, or a really nice LP that I had made. Its also not any Less Stable. IMHO for stability, what matters most are..... What part of the tree the lumber comes from, how/when it was cut/dried/milled, and then put into service. Any wood that is anywhere the Crotch, or branches running horizontal to the ground, but would be thick enough for necks is not good for making necks, and the big names are using all of it. If you check into how Old Standard Wood. harvests their Adirondak Spruce, or Talarico Hardwoods. They only cut wood when the wood is Dormant, and in a small time frame window during the winter. When the water in the trees is at its lowest. Heres a good video Notice in the video when he says the wood is Winter Cut. ArchDukeOfTops, songtalk and Dexter.Sinister like this. @71strat your neck is great!. Do you have any of those blanks left over? If so, any interest is setting one free? 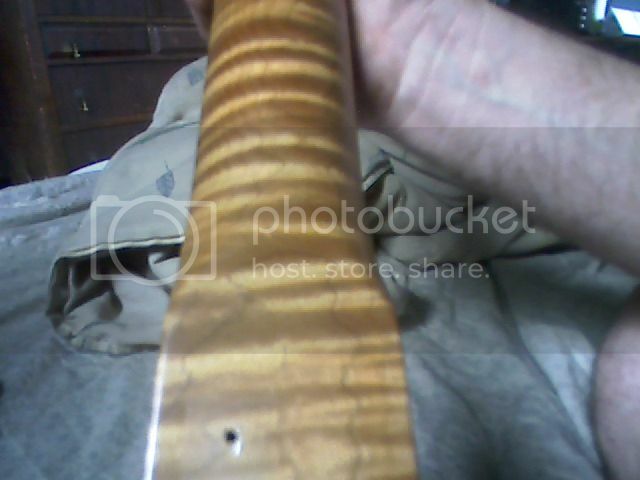 I'd love to have Tommy make a new neck for my Teleoid psychedelecaster with a roaster maple blank, but don't need three. 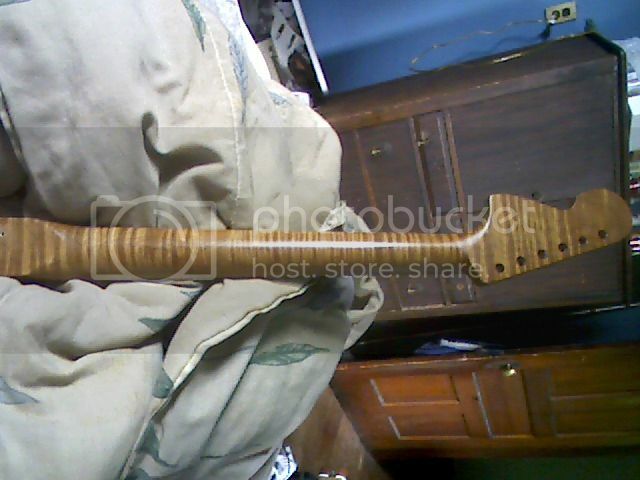 I got this roasted maple/rosewood neck from Musikraft a couple years back. I had MJT finish it. Light tint, satin nitro finish. It's really stellar. Feels great! 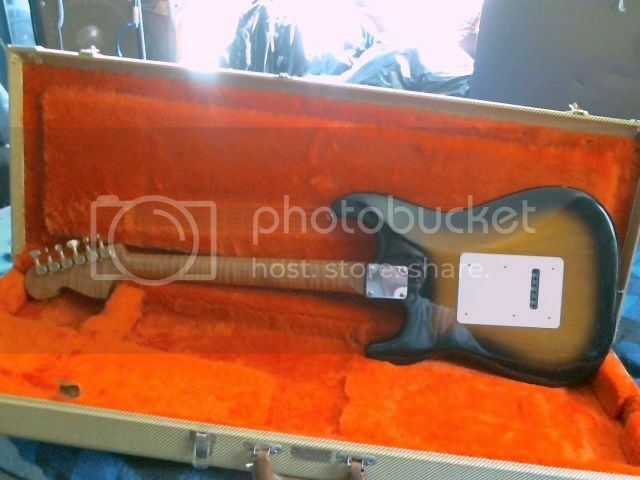 Do Musikraft have in stock necks to choose from like Warnoth ? can't see any on their site . 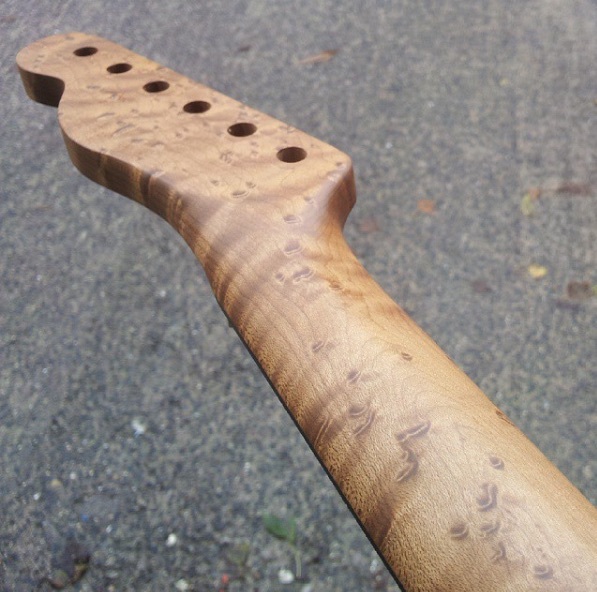 I've gotten a couple of their roasted maple tele necks... Medium in color, just a thin wash finish. They look and feel incredible. Highly recommended! They're selling more and more from their eBay store. They seem to upload a new batch every week or so. I'm down to 1 blank, as 1 gave 1 away. You could buy enough for 3, keep 1, sell the other 2 and break even or better. A nice blank is easily worth $70. IMHO. If 3 are $130 or less. IMHO its a good deal. Tanx. I will scour the sales and consider adding the opportunity costs or grabbing a set myownbadself. I've got a strat neck with a medium roast that I used to build my Charvel style parts-caster. I did put a couple of coats of tru-oil on it. The neck feels, sounds and looks great, but the fret ends were really sharp when it arrived and the floyd rose nut shelf needed to be cut slightly lower. I have a medium roast on a Tele...I love them. I was going to order one but Musikraft wont answer the phone or return messages or emails for 3 months. Not going to order from a company with craptastic service like that. If anything went wrong, GFL getting a response. 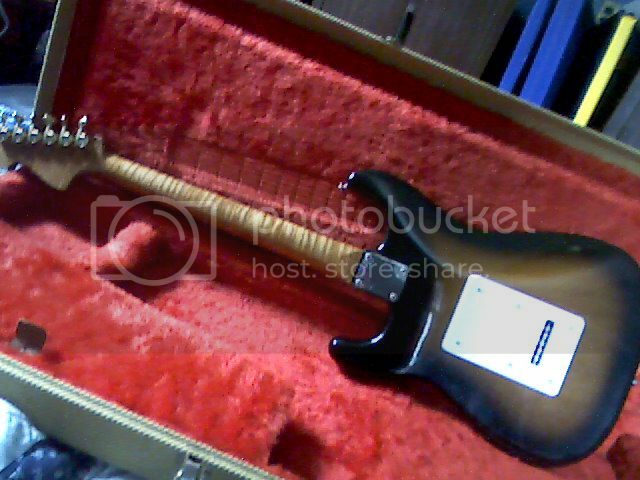 I own a Musikraft roasted maple neck and I purchased a rather expensive Musikraft body featuring "roasted" mahogany with a roasted flame maple top. Aesthetically, both are off the charts. The Musikraft neck has a great feel to it but I don't feel it's any more stable than other necks I own. 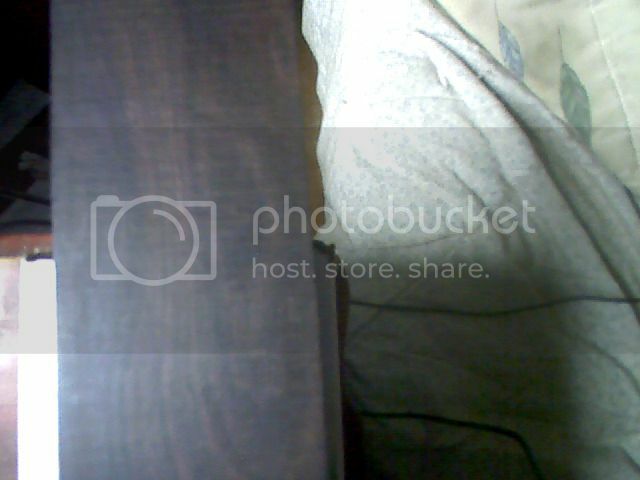 I have a Wenge neck which doesn't move and it's not torrefied. Likewise with the endurneck on my Strandberg which is birdseye maple. With that said, Musikraft does not offer a warranty on their roasted products if you don't have them apply a finish prior to them leaving the factory. It's cheap, like $20 on a neck so the cost isn't the issue. My roasted body developed two cracks in the maple top and the forearm contour started to lift before I got any finish on mine, despite the fact it's been kept in a climate controlled, stable environment. Other manufacturers sell a torrefied product, with warranty, that needed no finish. This leads me to believe the Musikraft process isn't the same or a true torrefaction process. 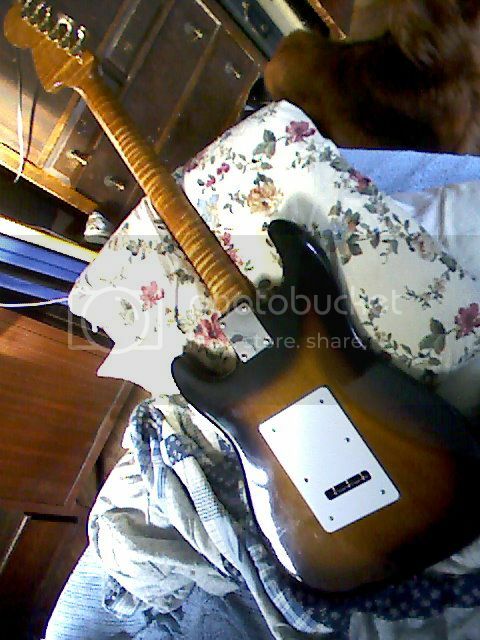 Would I buy another Musikraft neck? Yeah, most likely. I would not however, pay extra to have it roasted. I'd go to another vendor if I absolutely had to have a roasted product.